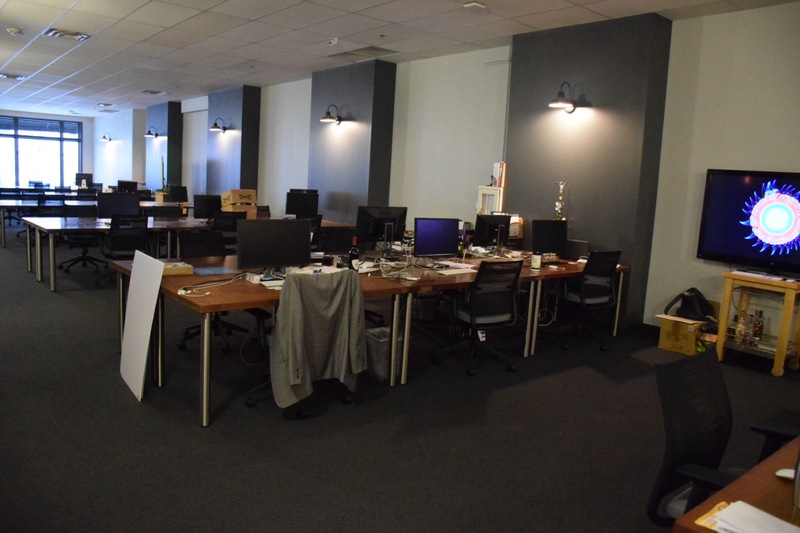 Are you a techie working from home, looking for a new office space, interested in feeding off other creative minds, or just looking to have a space in Downtown Orlando to work a few times a week? 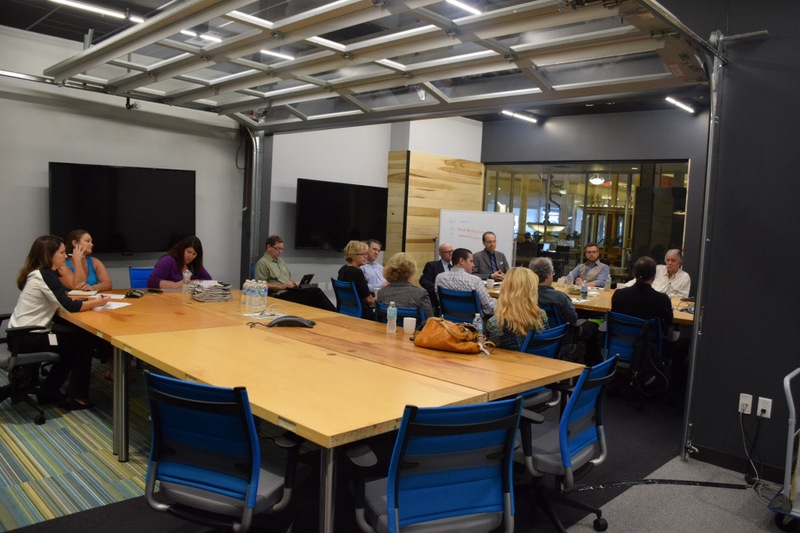 Orlando coworking space Canvs recently announced that it has restructured its coworking membership options, reducing rates, and extending hours for startups. The dedicated membership rate has dropped from $450 to $375, the community membership now includes 24/7 access for $250/month, and a new membership type- the part-time membership- has been added. 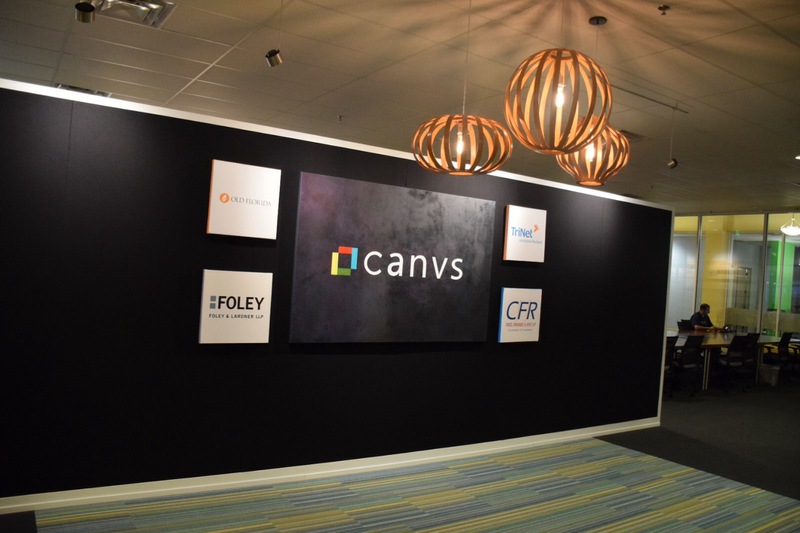 This last membership allows coworkers to work at Canvs up to 8 days a month for $100/month. This last membership can also be tailored for founders working on their ideas after regular business hours and on weekends. The new membership rates go into effect immediately. Current members have already had their rates adjusted. Members with 24/7 access to the space- which is now the majority of all members- are able to access the Church Street Exchange building and the Canvs space with a programmed key card. Below is a full matrix showcasing the different membership types at Canvs. 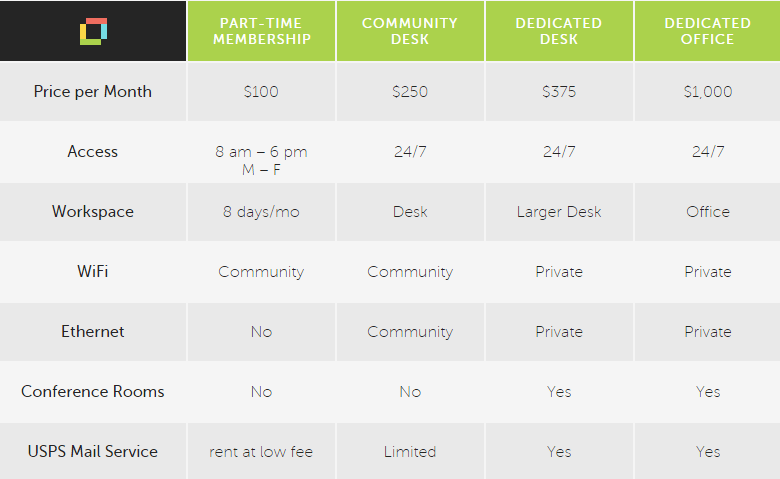 Some of the memberships allow you to reserve one of many meeting spaces in Canvs. Conference rooms are available to rent on a limited basis. It’s always full of great events and programming. Below is an example of the dedicated desks available at Canvs.